Our two Korean MYP students were performing on the stage of the Wroclaw Philharmonic during the 6th Review of Wroclaw School Singers’ Ensembles “Multicultural Wroclaw” organized by Wrocławskie Centrum Rozwoju Społecznego (Wroclaw Center of Social Development). 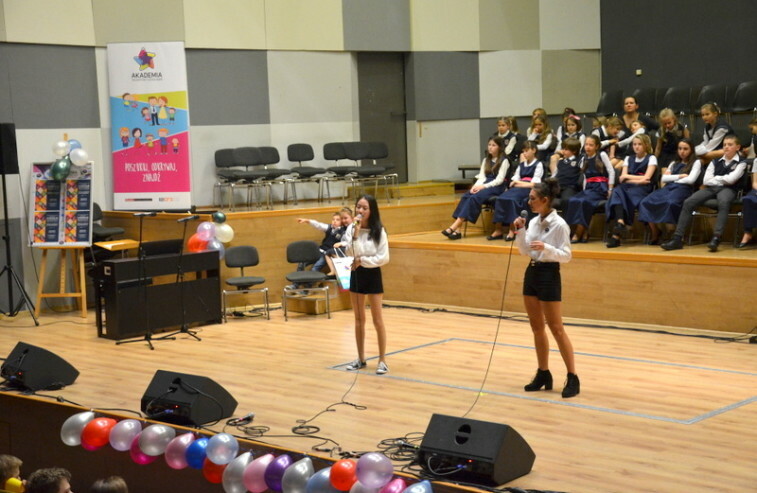 The girls were representing their music school – Yamaha Szkoła Muzyczna Bielany Wrocławskie and introduced as WIS students. They were singing in Korean. Next to them also the children choir Nutki ATUTki from ATUT Bilingual Primary School – WIS sister school and many more schools’ ensembles were the stars of the day. It was a great performance and a great opportunity to see and hear how multilingual and multicultural our city is.